My winter look at the moment is very basic. 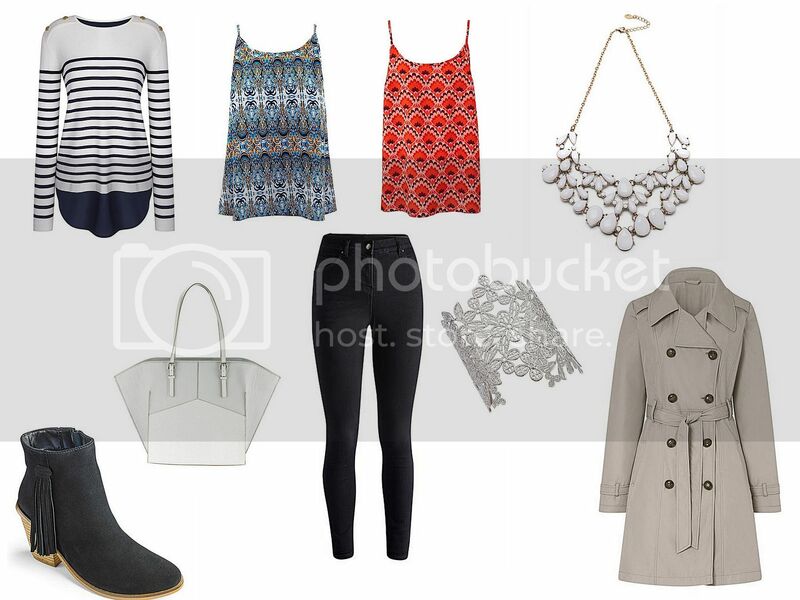 It consists largely of dark skinny jeans, a fun top and lots of layers. But keeping the same look doesn't mean that it all has to be boring. I picked out this look above thanks to JD Williams and it's a look I can really see myself wearing this winter. So while all my skinny jeans are black at the moment, I have recently gotten into wearing more colourful tops to brighten up my days. From sequence jumpers to colour top to wear underneath cardigans, I am all about adding bold colour and print. JD Williams does have a great selection of more than just clothes. I've been lusting over their jewellery and bag selections. I love that white bag. No doubt I would spill something on it, but I still feel like I need that in my life. Check out their blog for some cool tips and information too! Fab picks! Love the jewelry! I love the printed tops and I really want a bag that shape. I love that trench coat! I always think when I get a new coat that my coat wardrobe is complete but I still don't have a trench and I really do need to change that.